If you are at all like me you often have to search for a balance between quality and price when choosing how to entertain yourself and others. If you are at all like me you also really enjoy the taste of a fine whiskey. Dewar’s “White Label” blended Scotch whiskey requires no compromise with affordability and a great taste. I am, in fact, enjoying a dram of it right now. Dewar’s is a storied distiller of blended Scotch whiskies of varying ages since 1846. Other Dewar’s releases are the splendid double aged “12” which is just a step above the “White Label”. Above the 12 year old “12” is the Dewar’s 18 year old label and Dewar’s Signature is the highest quality variety in the Dewar’s canon. The “White Label” variety debuted in 1898 and consisted of 10 malts but since then it has grown. The craftsmanship is superb as demonstrated by its numerous awards and popularity outselling other blended Scotch whiskey brands in America since 1986. The 40 varieties of single malt and grain whiskies blended to produce the Scotch whiskey found in a bottle of Dewar’s “White Label” lend a smoothness to the complex character of “White Label” blended Scotch. On the nose, it is mildly sweet and grassy. A creamy and woody sweetness opens quickly followed by malty notes and a clean dry finish that rests comfortably in the mouth. Whiskeys of lower qualities are often plagued by a unwelcoming harshness but “White Label’s” mouth feel is very smooth and lacks that burning sensation associated with lesser whiskeys. As a result, I find that this makes for a great whiskey to use as an introduction into what a good quality whiskey experience is supposed to be. 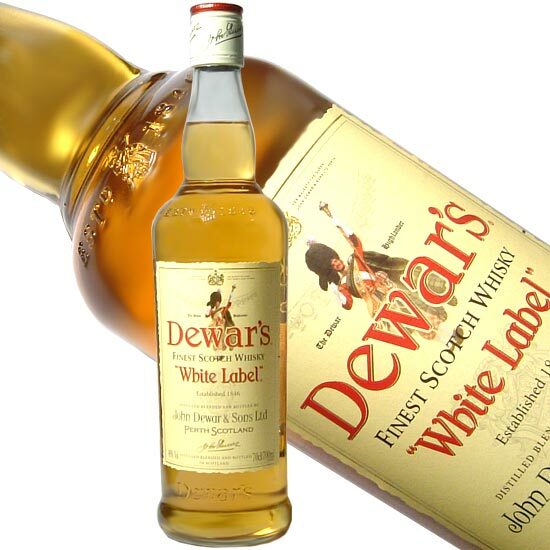 If you are new to whiskey in general or are seeking a better appreciation of the beverage then I suggest trying Dewar’s “White Label” blended Scotch whiskey. There is no shortage of solid options for your whiskey adventures and many of them are just as good if not better but I find that I prefer Dewar’s “White Label” over similar blended Scotch whiskeys, bourbons, or Irish whiskeys. It is very tasty and 750 ml bottlers retailing at below $30 makes it a perfect option for your night cap or any kind of get together. I choose this Scotch consistently for its quality of flavor and the affordable competitive price. Its ready availability makes it an even easier choice. You can’t go wrong with a pint or fifth or even a liter of this excellent blended Scotch. Its no doubt the smoothest whiskey available. I love it.